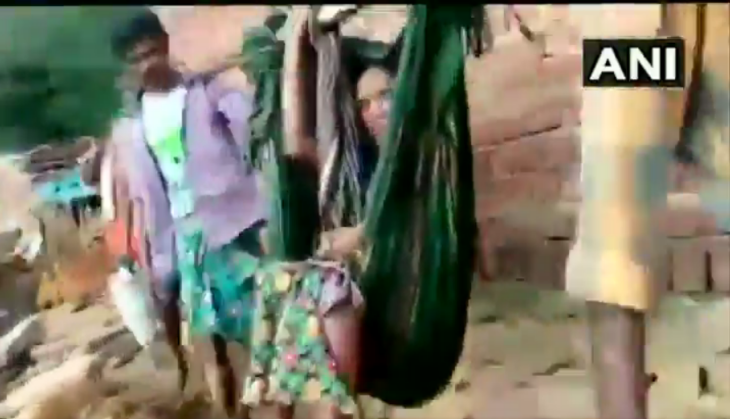 In a shocking incident, a pregnant woman in Vijayanagaram district of Andhra Pradesh was carried to the hospital by relatives on a makeshift cloth stretcher on Tuesday through jungle due to lack of proper road connectivity in the area. The woman in the delivered the baby in the midway to the hospital and returned, reported news agency ANI. As per reports, the hospital was 7km away from the area and on her way to the hospital the woman delivered the baby four km into the journey. After delivering the baby they decided to return home. Both the baby and the mother are doing fine. Earlier, on July 29, another pregnant woman had to be carried for 12 km to the hospital due to lack of motorable roads. Even in the month of June this year, video of a pregnant woman in Kerala being carried by her family in a bedsheet tied to poles had gone viral. These makeshift stretchers carry pregnant woman and others patient to the hospital in remote and hilly areas in the absence of proper roads is a common practice. Although it is very risky and dangerous, the villagers are left with no option.